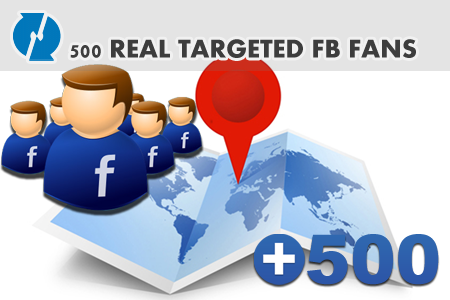 500 Geo targeted real human facebook fans. This service is available for small or big countries. Permanent fans ( no drop). Please note that: the more countries you sellect, the more fast in delevery. Thant mean if you choose to get fans from 10 countries, this will be faster in delivery from choosing only one country.